There are at least three reasons why constitutional lawyers must endeavour to keep abreast of the work of the Administrative Court and of decisions on appeal from that Court. Day by day, judges in that Court are required to review the use of executive powers and ensure that established principles of legality are observed by government. Such review is both salutary for public authorities and provides protection for many individuals against the wrongful use of power. This constitutional role of the Court was reinforced in 2000 by the extended jurisdiction that it then acquired under the Human Rights Act 1998. An understanding of the work of the Court is a foundation for discussion of the boundaries that do or should exist between the executive, Parliament and the judiciary. The recent decision in R (on the application of HA (Nigeria) v Secretary of State for the Home Department  EWHC 979 (Admin) is a stimulating example of this work. The decision-maker, Singh J, better known to public lawyers as Rabinder Singh QC, has been a Queen’s Bench judge since October 2011. Aged 48, he is the youngest judge in the High Court. Before beginning a deservedly successful career as a barrister, he lectured in law in the University of Nottingham, when his many contributions to public law scholarship began. The case of HA (Nigeria) concerned an overstayer from Nigeria whose conviction and imprisonment for a drug offence caused him to be subject to deportation to Nigeria under the UK Borders Act 2007. After completion of his prison sentence, he was detained in a succession of immigration removal centres, during which time he manifested many forms of strange behaviour. A psychiatrist’s report recommended that he be transferred to hospital but despite rule 35 of the Detention Centre Rules 2001, it was over five months before the transfer occurred. In hospital he was diagnosed as having a psychotic illness requiring medication but during his time in hospital the Secretary of State’s guidance concerning suitability of detention for the mentally ill was amended and HA was transferred back to detention. The judgment makes clear both the complex factual background to the case, setting out in coolly analytical terms the response of Border Agency officials to distressing personal circumstances, as well as dealing with six issues of principle raised by the case. Thus Singh J held that the Secretary of State’s decision to authorise HA’s continued detention was flawed as a matter of public law, but that no separate issues arose regarding Article 5 ECHR (right to liberty and security). The judgment dealt obiter with the inter-relation between the Mental Health Act 1983 and detention under the UK Borders Act 2007. The most significant holding in the judgment deals with a change in Home Office policy, which had been altered from a statement that “the mentally ill” were “normally considered suitable for detention in only very exceptional circumstances” to the statement that those suffering from mental illness were suitable for detention unless “suffering serious mental illness which cannot be satisfactorily managed within detention”. Remarkably, the Home Office argued that no change in the policy had occurred, and therefore that no consultation was needed before the text was changed. Singh J was in no doubt that there had been a change “in at least the stated policy” and commented that “the meaning of a policy is an objective matter”: public law now stressed the importance of adherence (in general) to policy statements since “they serve an important function in maintaining the rule of law, which is of particular importance when fundamental rights such as the right to personal liberty are at stake”. In a context such as the one before him, “the meaning of a policy is ultimately a question for the courts, not one for the executive”. Moreover, the Home Office amendment was unlawful for failure to comply with the public sector equality duties that arose under the Race Relations Act 1976 and the Disability Discrimination Act 1995. I do not suggest that the facts of this case were of exceptional difficulty, and we have come to expect that judgments of comparable quality are often delivered in the Administrative Court. But I believe that constitutional lawyers should regard such judgments, and the system of justice that makes them possible, as a notable achievement in our contemporary society. With this reflection in mind, I have read again the F A Mann lecture that Jonathan Sumption QC gave, after being appointed to the Supreme Court from the ranks of the practising Bar but during the unduly long period in which he continued to appear as an advocate. The lecture was entitled “Judicial and Political Decision-Making: the Uncertain Boundary”. Stephen Sedley’s response in the London Review of Books  is well-known, and there is little that needs to be added to it. Certainly the lecture raises issues that are of first importance, including the changing political climate in which public law decisions are made. But one difficulty about the lecture is that, on closer examination, its target is uncertain. While uttering more than one saving clause that maintains a foothold for the judicial review of executive action, the lecturer in effect aims at a double target: the judiciary are indicted for crossing the boundary into political decision-making; and the Human Rights Act (and the Convention) are damned for their part in bringing this about. Sumption’s critique of the Strasbourg jurisprudence (for having developed sub-principles and rules that “go well beyond what is required to vindicate the rights expressly conferred by the Convention”) brings to mind the position taken by Sir Gerald Fitzmaurice in Golder v United Kingdom, where he dissented from the proposition that the right to a hearing in the determination of a prisoner’s civil rights under Article 6 ECHR would be meaningless unless the prisoner is permitted access to legal advice. 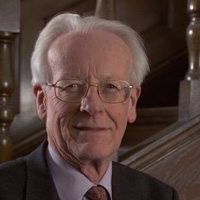 As for the generalised attack on judges for interfering in politics, Sumption explains that the law is a barrier to the exercise of power, because of its “formidable bias in favour of private rights and traditional social expectations, and a corps of professional judges to administer it who are not accountable to the electorate for their decisions”. He invokes De Tocqueville for support, for whom the lawyers “secretly oppose their aristocratic instincts to the democratic instincts of the people.” In interpreting written instruments, “[it] is not easy for a judge to decide what is strange or repellent, except by reference to his own assessment of the policy under review”. Sumption stresses that a powerful factor in many decisions is “the judge’s views about the merits of the underlying policy”. When judges are dealing with the alleged abuse of discretionary powers, they are often “dealing with matters (namely the merits of policy decisions) which in a democracy are the proper function of Parliament and of ministers answerable to Parliament and the electorate”. His optimistic conclusion on the role of Parliament is that “Parliamentary scrutiny is generally perfectly adequate for the purpose of protecting the public interest in the area of policy-making”. And, reflecting that public law “ought in principle to respect the conventional limitations on judicial action”, he comments that “[the] problem in cases governed by common law principles of judicial review is that they do not do it on a sufficiently principled or consistent basis”. I doubt whether Lord Sumption’s practice at the bar included many visits to the Administrative Court, or whether he frequently appeared for legally-aided clients. If the Mann lecture is juxtaposed with the judgment given by Singh J in R (HA (Nigeria)) v Secretary of State for the Home Department, I conclude that there is much to be said for a system of judicial appointments that enables our ablest lawyers to become judges, make progress through the senior courts and (for some of them) proceed into the Supreme Court, but requires that new justices in the Supreme Court should have previously experienced the rigorous discipline of decision-making that is called for by the kinds of case that make up the case-load of that Court. Anthony Bradley is Emeritus Professor of Constitutional Law, Edinburgh University, and a visiting research fellow at the Institute of European and Comparative Law, University of Oxford. See his article, “The Indirect Regulation of Speech: a time and a place for everything?”  Public Law 212. Citing in particular R (Lumba) v Secretary of State for the Home Department  UKSC 12,  1 AC 245. Lumba’s case cited in note 3 is of great importance in view of the lead that the Supreme Court gives to judicial review of executive policies that are adopted in non-statutory form. It would be a pity if any reader of Professor Bradley’s piece on the Sumption/Sedley spat, if not already familiar with it omitted to chase up his reference to Judge Sir Gerald Fitzmaurice’s dissenting opinion in Golder’s case. As Buckland remarked of Theodosian’s Law of Citations, opinions should be estimated by weight, not number. This entry was posted on June 7, 2012 by Constitutional Law Group in Judiciary and tagged Administrative Law, Change in policy, Lord Sumption, Rabinder Singh QC.